In its unique atmosphere, the most visited tourist destination of Slovakia offers a lot of interesting places, delicious cuisine, cultural events and cultural heritage to document its history. If you want to be sure to find all of them comfortably and you want to avoid bottlenecks of the transportation routes and complicated parking, rely upon the services of taxi Bratislava Vienna. We know our city as the back of our hand. 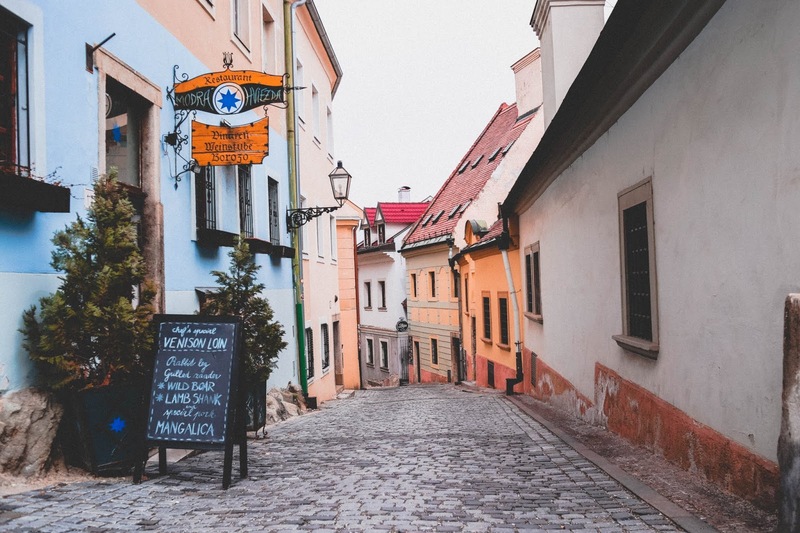 Whether you like the Central European kitchen that has its roots in the Austrian-Hungarian Empire or you prefer the Asian kitchen with the touch of luxury, we definitely have places in Bratislava to take you to. Gastronomy is getting more and more developed here, mini breweries are increasingly widespread and the coffee in the most popular coffee bars is more and more fragrant. Not talking about the wines from this region that were drank even in Italy and Germany in the Middle Ages. You can taste the best wines from Bratislava and also from the whole Slovakia in the Slovak National Wine Salon (Národný salón vín) on the Main Square. We are sure you will appreciate a transport in a luxury limousine after this visit. Visiting Bratislava and missing out the castle would be like ignoring the Eiffel tower in Paris. It cannot be overlooked: You will surely notice its typical four corner towers on the rocky outcrop of the Small Carpathians in the height of 85 metres above the level of the Danube from many places. This precious national cultural memory is the seat of the Historical Museum of the Slovak National Museum (Historické múzeum SNM) and the surrounding park offers great views on the whole city. 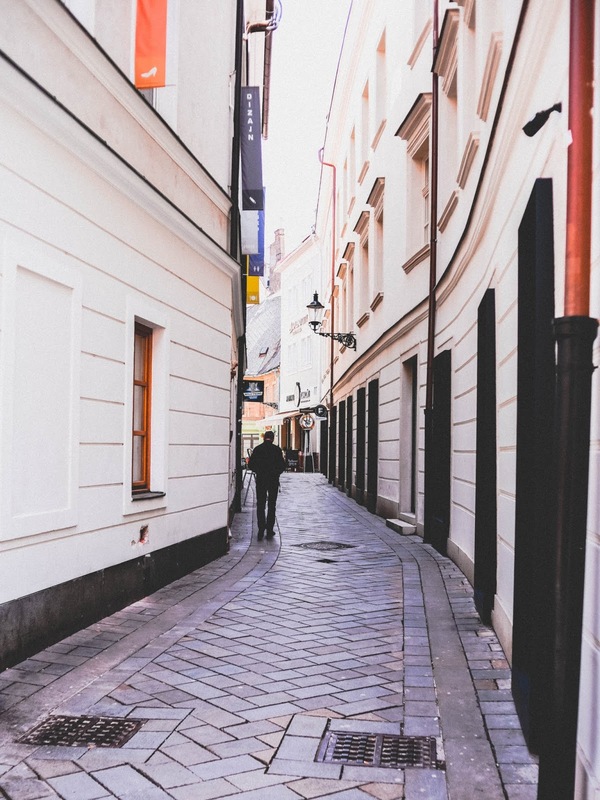 We recommend to walk through the centre of Bratislava. We will take you to its periphery to let you enjoy the alleys with beautiful palaces seating various offices, museums or galleries. 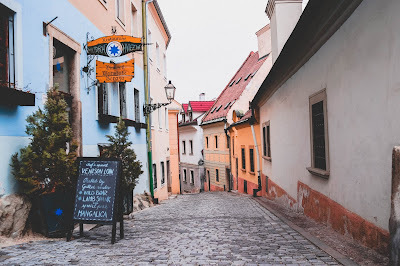 Do not miss to cross the magical Michael´s Gate, have a look at the nooks of the city walls, take a walk on Hviezdoslav and Main Square, blend in with the bustle of the bars and small cafés or calm down in the sacred atmosphere of the St. Martin´s Cathedral. If you like to observe the things from a high perspective in combination with extraordinary gastronomy, you must definitely visit the UFO restaurant above the Bridge of Slovak National Uprising. You can reach the height of eighty metres in forty-five seconds with an elevator and thanks to that you can observe not only numerous sights of the city but, in case of ideal weather conditions, also the panorama within the distance of hundred kilometres. You can experience another fascinating view from the highest tower in Slovakia – the TV mast on Kamzík hill is 635 metres high and you can get refreshment in form of specialties from seasonal ingredients in the restaurant with a viewing platform. 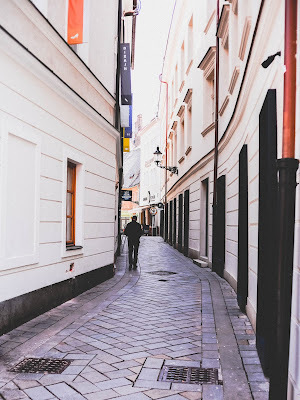 When you had enough of the rush, architecture and history and you feel like relaxing under the trees, we will target places which are the green oasis of Bratislava. You can decide to visit the Janko Kráľ Orchard that is the oldest public park in Central Europe and except the beautiful green it offers also cultural events. Or you can run barefoot on the lawns in the Medical garden in the Old Town, eventually walk the tourist trails in the area of Iron spring (Železná studnička). This vast landscape of forest and park is attractive not only thanks to its natural resources, but also thanks to the opportunities for boating, fishing or cycling it offers, or because of the cable car to Koliba. The view on the massive flow of Danube can accompany you not only when strolling along the banks of the Danube river or on the beautiful promenade at the Eurovea shopping centre with cafés and restaurants. Danube is worth experiencing also on the board of a ship that will transport you up to the Devín castle rising 212 metres above the sea level. On the castle rock above the confluence of the rivers Danube and Morava you can visit also a museum with engaging exhibitions. During summer weekends you can get by ship also to one of the most romantic museums of modern art in Europe. Danubiana is located only 20 kilometres from Bratislava and except art works of world famous artists it offers a great experience of its unique architecture and a large park on the peninsula on the interface of Slovakia, Austria and Hungary. The forty-year period of socialism cannot be denied in the rich history of Bratislava and for the ones who would like to focus right on this part of history of our capital there is a possibility to participate in a special visit of the memories of this era. As the transportation means the organisers decided to use the old Škoda car that is an integral part of those times. However, if you wish to get to know this face of the Slovak metropole in a greater comfort, bratislava-airport-taxi.com will take you to the milestones of the visit.